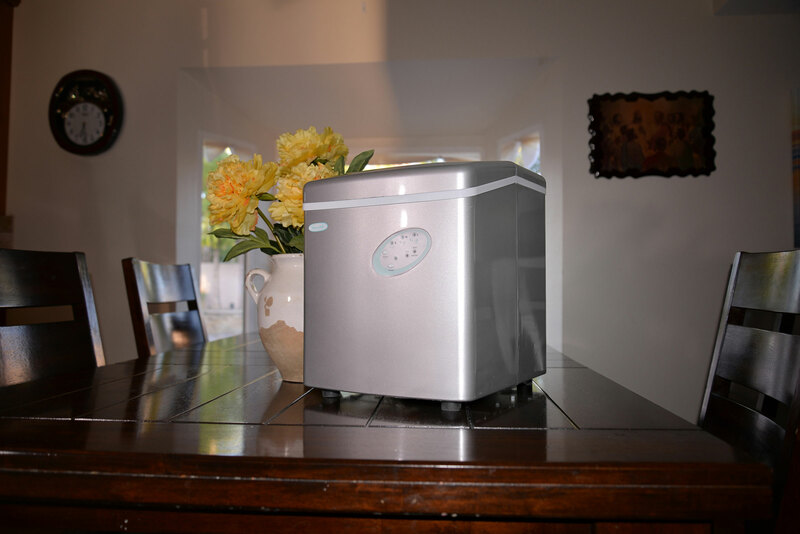 The NewAir AI-100S portable ice maker is a sleek, compact machine that fits neatly on your countertop. 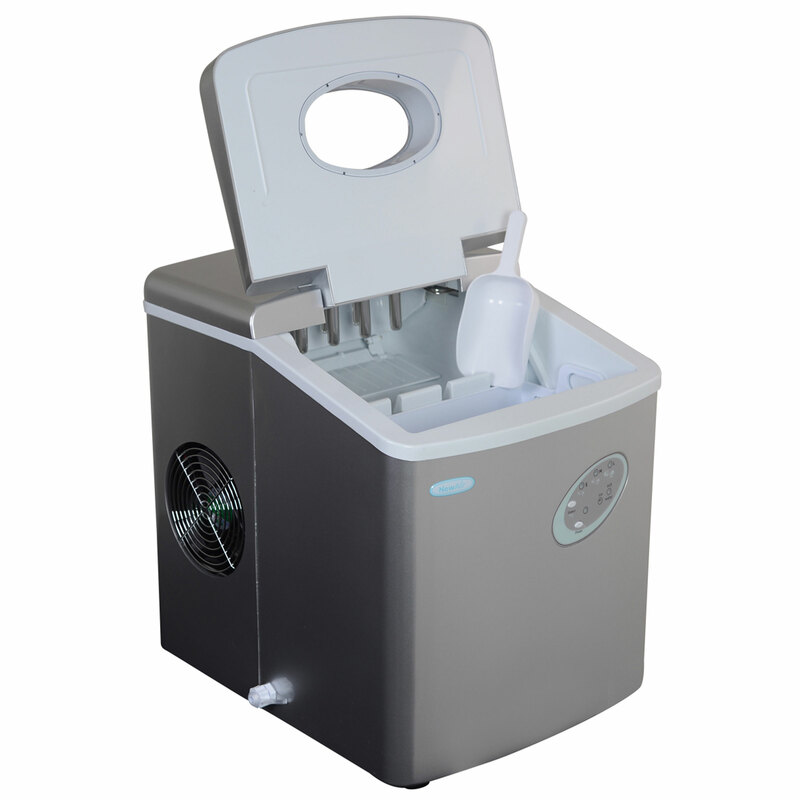 It's portable design and attractive silver finish makes it the ideal choice for keeping drinks cool at in your home bar, kitchen or even at pool parties, BBQs or other outdoor get-togethers. 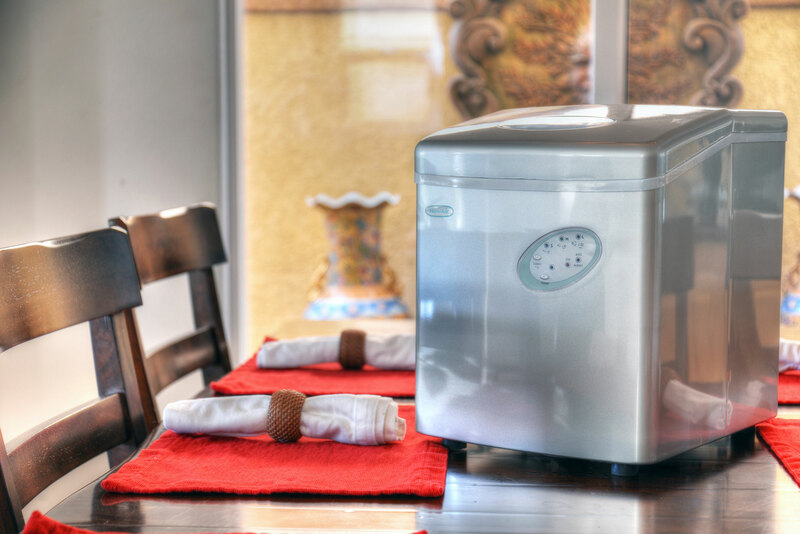 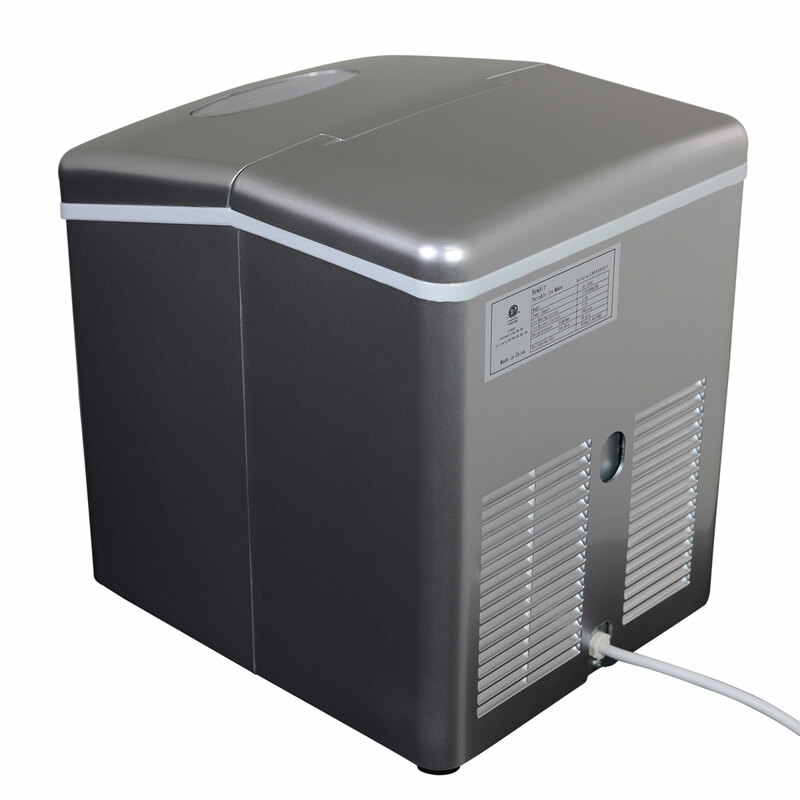 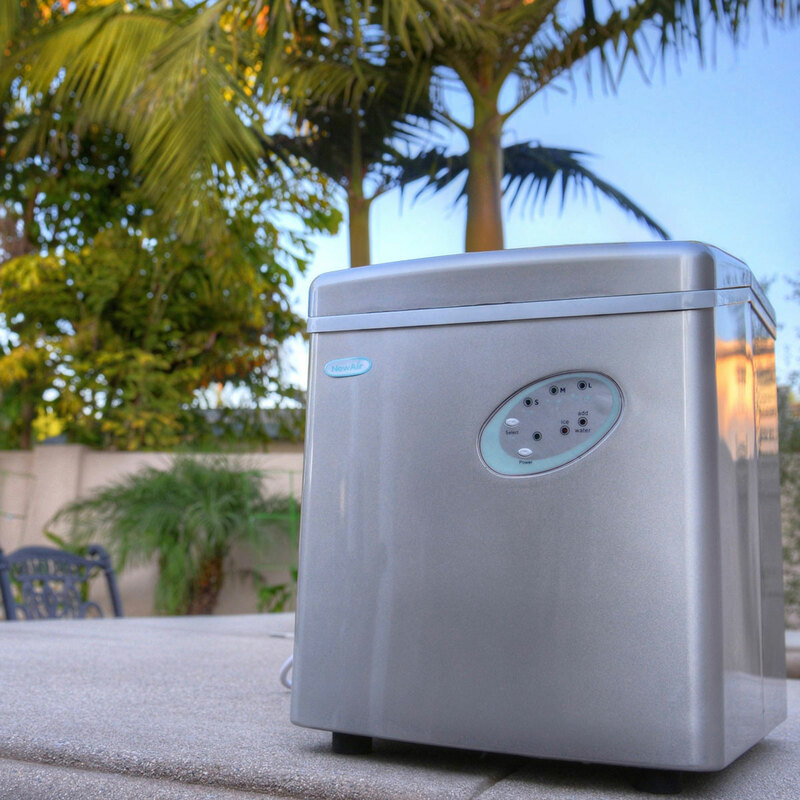 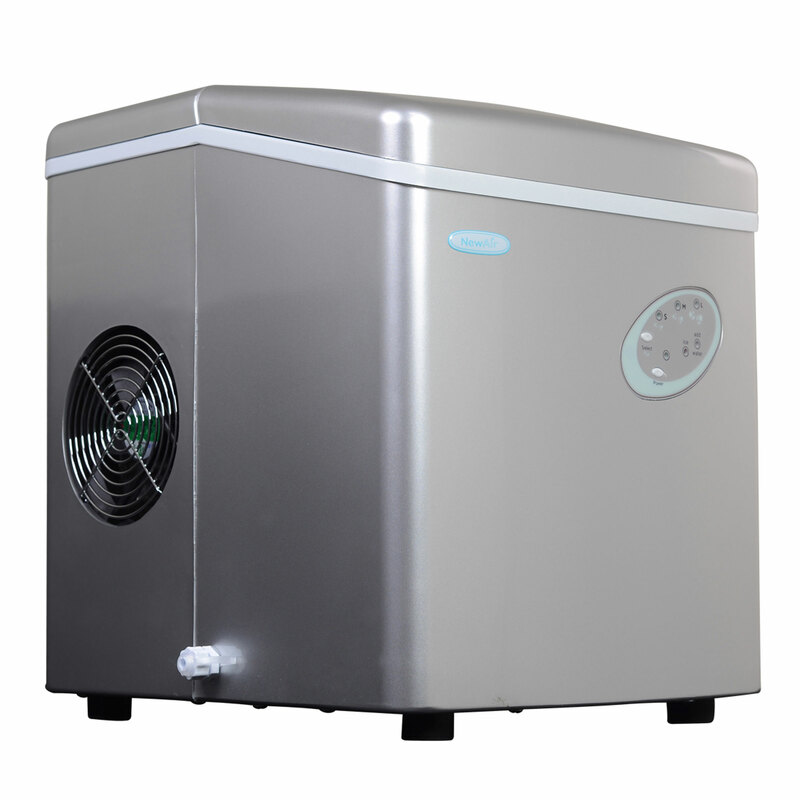 This ice machine can produce up to 28 pounds of ice per day, so you're sure never to run out! 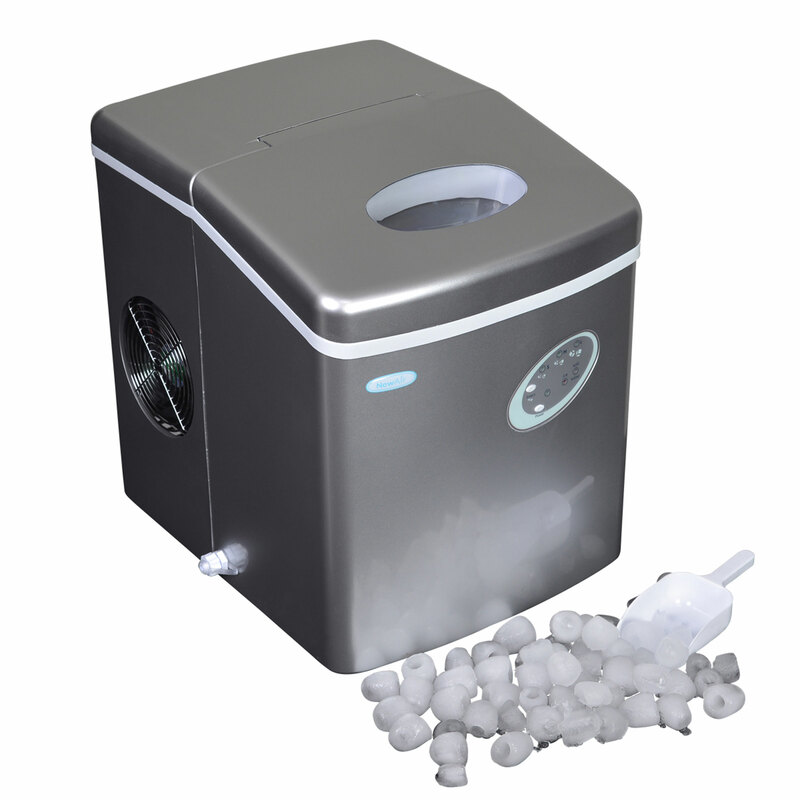 The NewAir AI-100S portable ice maker can make ice every 6 to 15 minutes, so you'll never have to wait for fresh ice. 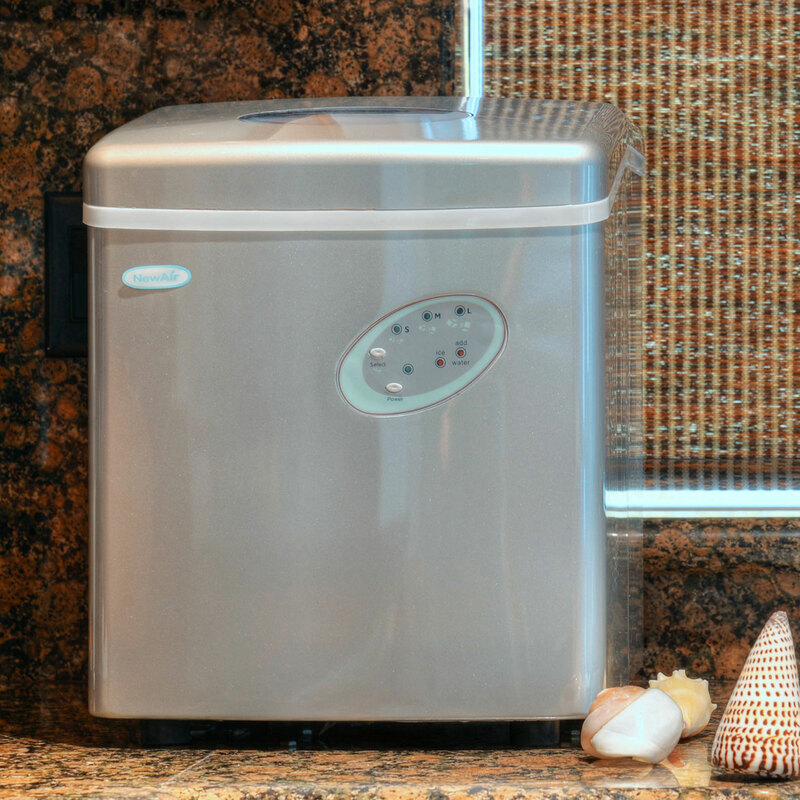 With its sleek design and silver finish, this ice maker will complement any decor. 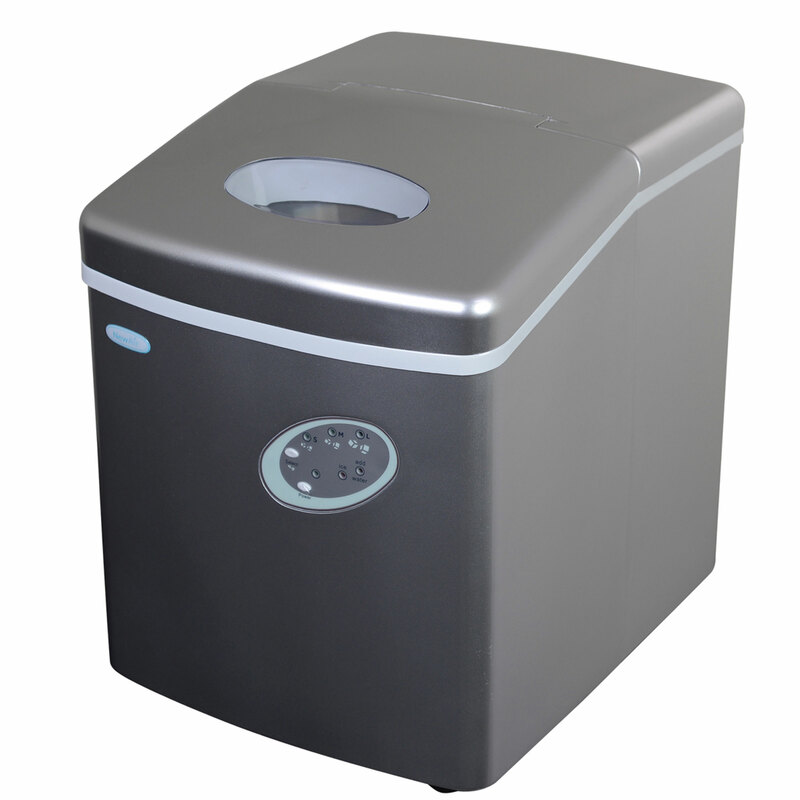 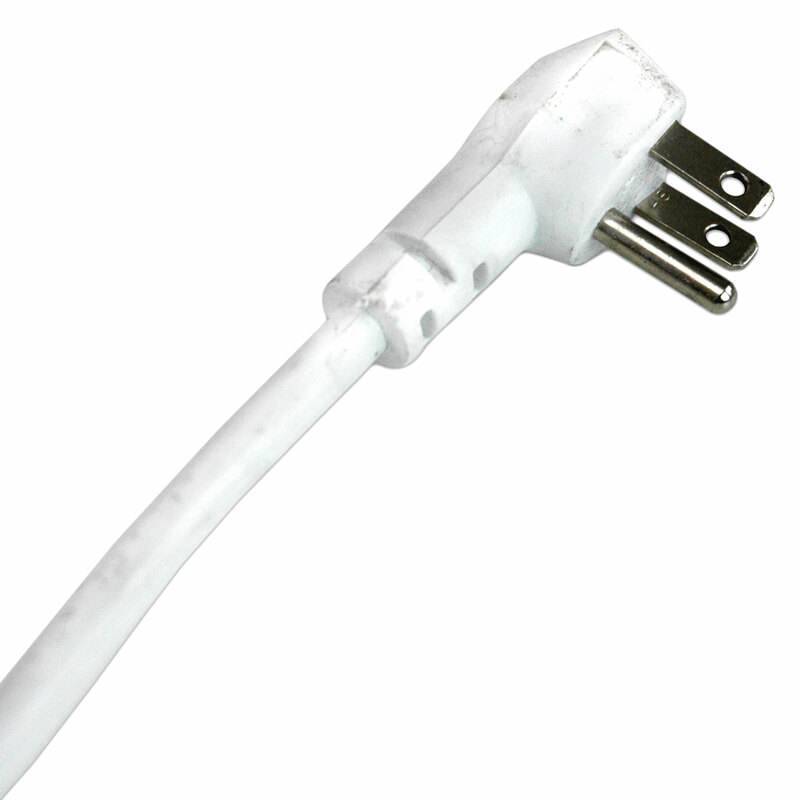 Plus, with it's small size, it's perfect for using in compact spaces! 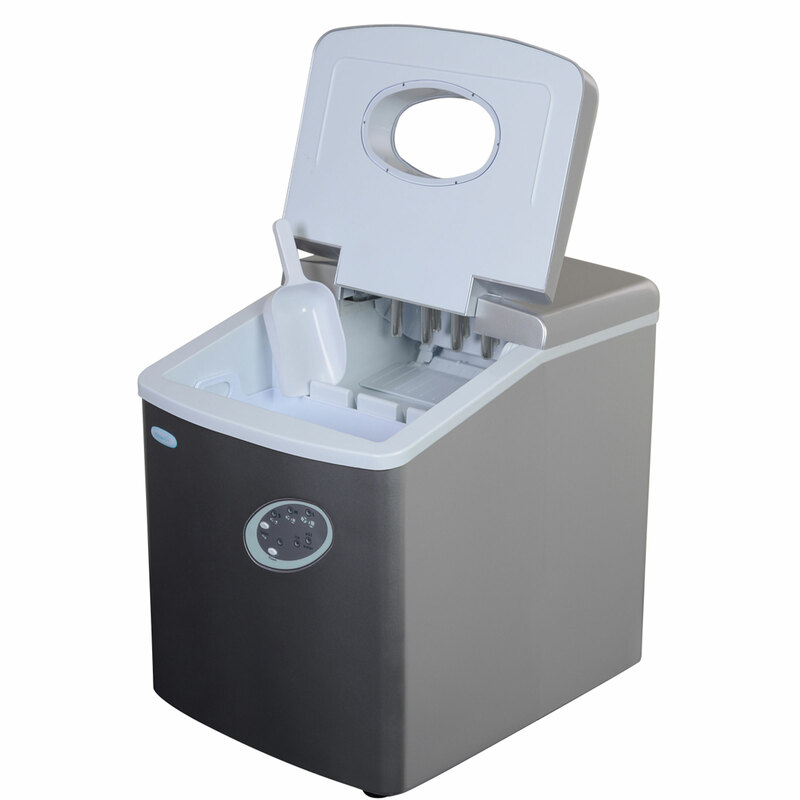 Select from three different ice sizes - small, medium or large - to suit your beverage needs. 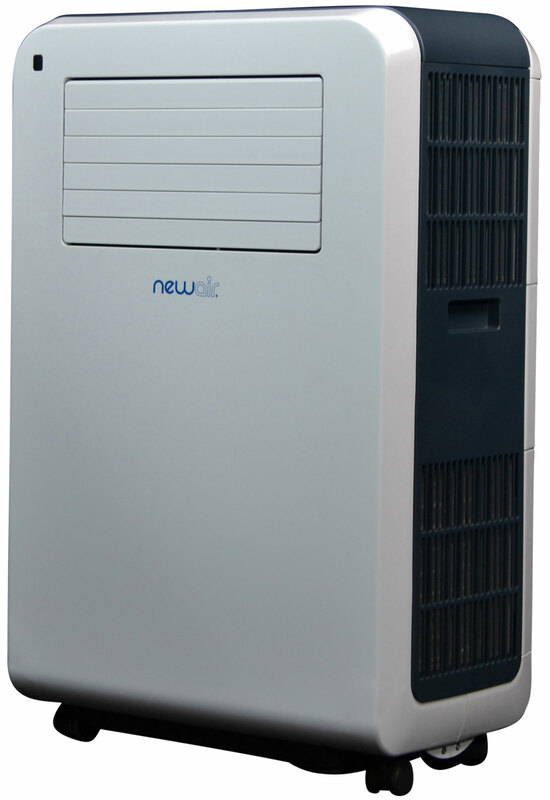 The NewAir AI-100S has a two-button control panel that is easy to operate. 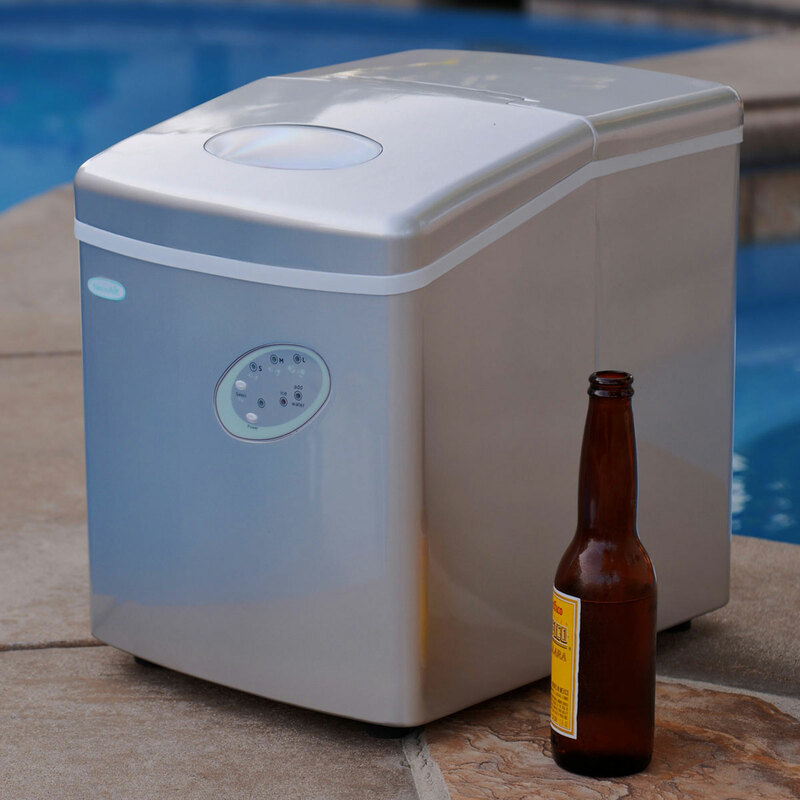 It features lights that let you know when to add water and when the ice basket is full. 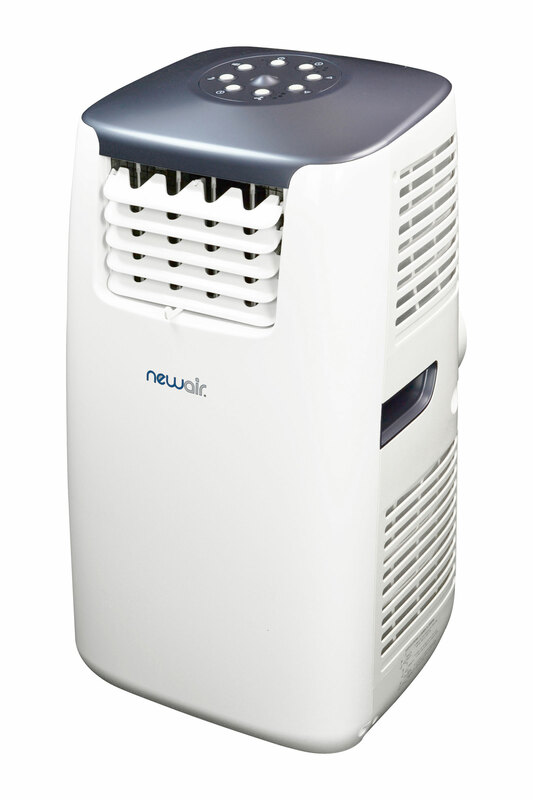 For your convenience, the NewAir AI-100S requires minimal maintenance. 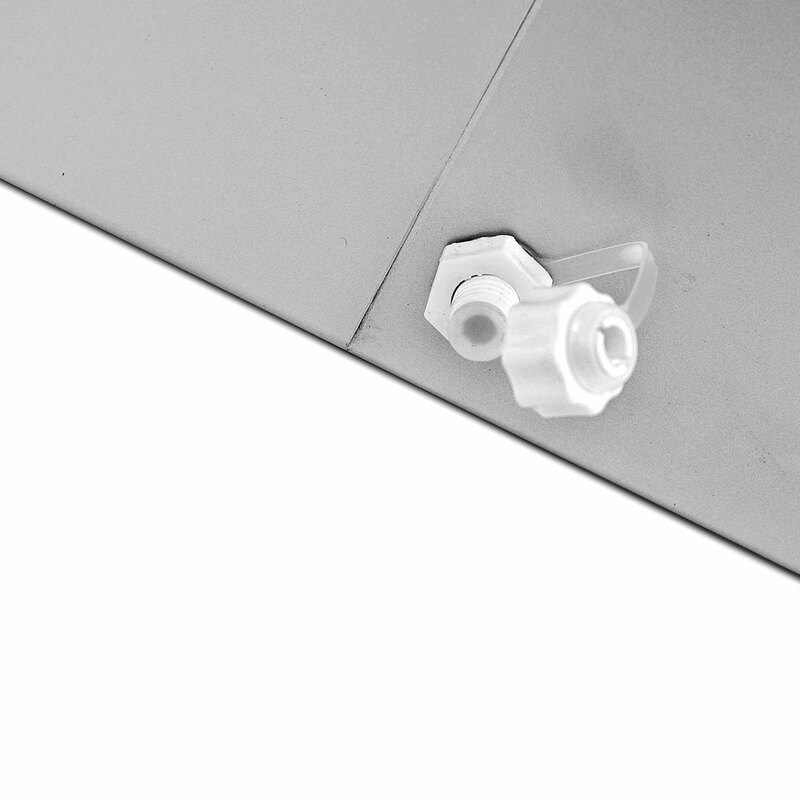 A drain in the side of the unit, which makes it easy to empty out excess water at the end of the day.